Addressing what keeps you up at night. Is your organization required to undergo an audit? Are you concerned about the possibility of fraud in your company? Would you like to make sure your employee benefit plan is compliant with regulations? Are you concerned that you’ll be denied a loan your company needs? Assurance services and financial reporting provide exactly that—assurance that your financial records are compliant and complete, your bookkeeping and other financial procedures are sound, and that you can demonstrate as such to outside parties. 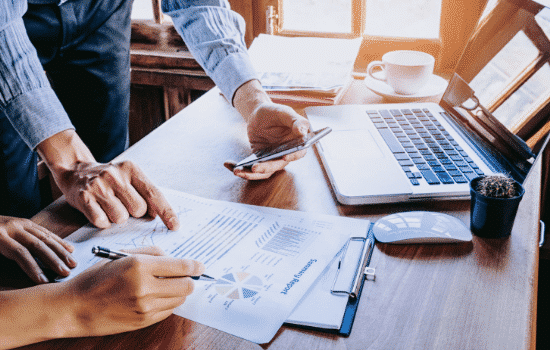 Whether you need a full-on audit or a one-page compilation report, it’s essential to have a CPA firm that is well versed in all levels of assurance. Our assurance and financial reporting services aren’t just about implementing a bunch of controls; they’re about looking for the best and most cost effective internal controls for your organization. So we get to know your operations and consider the cost benefit while performing our work to ensure that our recommendations will serve you well and help you stay compliant. Rest “assured” that your concerns are addressed. Despite popular belief, not every organization needs an audit. There are several levels of assurance available, each of which serves a particular purpose. Knowing the difference, and which option is best suited to your situation, can save you thousands of dollars in fees and countless hours of preparation. Zero in on one or two areas of concern. Perhaps you have a specific aspect of your operations that you’d like examined thoroughly. Our AUP services provide close attention to just those particular areas, so you can get the results you need without a more rigorous audit. We’ll examine specific procedures and revenue sources to help you find lost funds, enhance your operations and spot the red flags that catch the NCAA’s attention. We’ll help you protect the assets and financial integrity of your benefits plan, so your employees can rest assured that the funds will be there for their retirement. Demonstrate the integrity of your processes and IT general controls and, as a result, the security of your clients’ data while it’s in your hands. Contact us today to see what we can do for your organization! Need more information? Check out our library of articles. Lessors Take Note: FASB’s New Lease Standard Impacts You! Help! The Auditors are Coming!